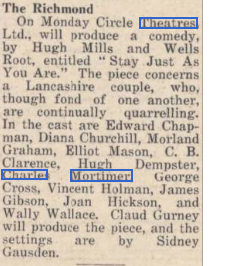 Charles Mortimer was in the cast of "Stay Just As You Are", played at the Richmond Theatre, from 3 December, 1939. From The Daily Gazette for Middlesbrough - Wednesday 06 December 1939. 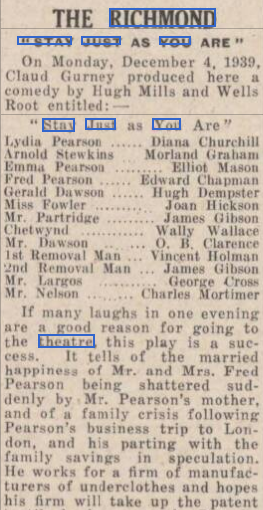 The Stage - Thursday 30 November 1939. 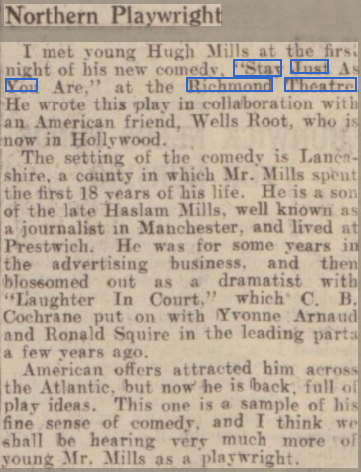 From The Stage - Thursday 07 December 1939.